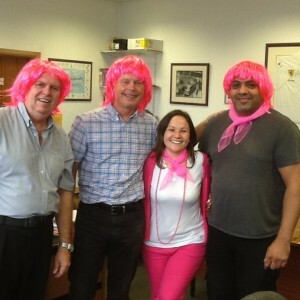 Milton Keynes based Jeanius Consulting saw pink last week – donning pink wigs, clothes and making pink cakes to raise awareness for breast cancer care. Through cake sales, donations and bingo entries Jeanius raised a grand total of £200 for the charity. 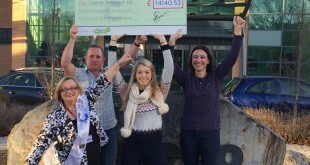 The day of fundraising included the chance for fellow Bucks Biz residents to take part in Bingo Lingo, with the winner presented with a bottle of pink bubbly. Local businesses were extremely generous with their donations – in particular a big thank you to Bletchley based Regal Litho for getting into the “pink” theme with such enthusiasm!